Illustrator, author, and campaigner Sarah McIntyre (@jabberworks) has proved a powerful voice for illustrators over the past 18 months. Struck by the frequency with which illustration in books was downgraded or ignored–uncredited on covers, left off sales charts, invisible amid prize nominations, and forgotten by reviewers–she launched a crusade to see illustrators properly recognized and rewarded. 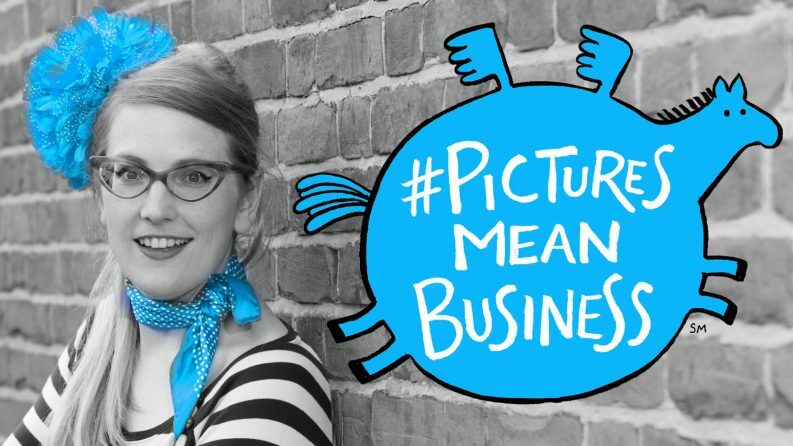 Her #PicturesMeanBusiness campaign makes a compelling case–both morally and economically–for crediting illustrators fairly. She points out to any who will listen that crediting illustrators not only improves their lives and those of the children they draw for, but also helps publishers sell more books. The campaign has drawn the support of figures including UK children’s literature laureates Malorie Blackman and Chris Riddell (the latter of whom, in an interview with the Bookseller, describes McIntyre as “amazing”) along with influential authors and illustrators including Joanne Harris, Axel Scheffler, and Philip Ardagh. Meanwhile, McIntyre’s own work continues apace, as joyously quirky as before. 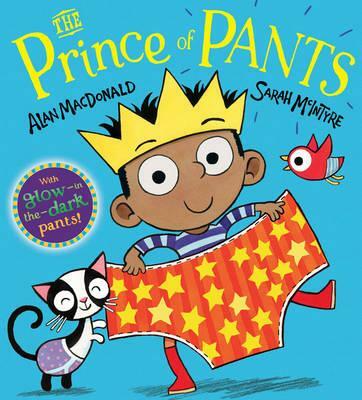 Her latest book, Prince of Pants, with writer Alan MacDonald, comes out in September, promising “a great big loony feast of PANTS and strange corgis and fat ponies and lots more.” That’s pants in the British sense, made clear on the cover with the Prince Pip and an oversized pair of orange glow-in-the-dark briefs emblazoned with yellow stars. Sarah McIntyre: I’ve been illustrating books for 16 years, but I wasn’t always sure that was what I wanted to do. I studied Russian at university, then thought I might want to be a journalist and worked at The Moscow Times as a copy editor, which was good training for editing my own work. For six years, I ran an art gallery with some friends, but I got tired of how so much of the art was almost purely theory-based and minimalist, and decided I was a maximalist who liked making real stuff you could see, with stories and humor. I loved the narrative folk art I’d seen in Russia and after dabbling in book illustration, did an MA illustration course at Camberwell. I got into comics and David Fickling picked me up though a tip-off from Paul Gravett, both to do a weekly Vern & Lettuce strip for the DFC (now The Phoenix Comic) and to illustrate a picture book with him, Morris the Mankiest Monster. SM: I think rediscovering the medium of comics was the best thing that happened to my work. When I was trying to find my way in children’s books, going slightly off-piste and meeting people who made comics challenged me and inspired me. The aesthetic was very different to the children’s book illustration I was seeing and people who made comics were incredibly practical and knew how to go from a story idea to a printed book. They didn’t wait around for publishers to hand them contracts, they just got on, made books and sold them at comics fairs. SM: I think it’s that I genuinely get excited and feel happy when I see amazing work by other people. I know that, in business terms, we’re all competing, but it doesn’t feel that way to me. I get a sense that we’re all pushing forward British illustration to the rest of the world and I’m fine with not always being the best at everything. In terms of the #PicturesMeanBusiness campaign, my publisher, agent, co-authors, and husband are my steady supportive rocks who let me fight for other illustrators, confident that I’m not jeopardising my own career. Many illustrators are too scared to speak up for fear of not getting more work, and I want them to be able to shine in producing amazing artwork without having to worry about being undercut in business by constant lack of credit. SM: I don’t like routine. It would be so much easier if I could settle into a daily schedule of exercising, drawing a few set hours, doing Internet stuff for a set time, then go back to artwork before putting all my work away for the evening. I’m much more haphazard and I get sucked into the Internet, campaigning and event planning too often. 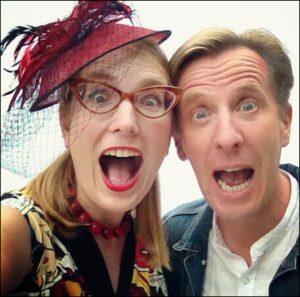 SM: I love what I’m doing now, co-authoring illustrated fiction books with Philip Reeve and illustrating and writing picture books. But at some point I’d like to go away somewhere to do a longer piece of research for a book. My projects come so thick and fast, I’d love to take some time out to think a bit more and do something radically different based on that research. Last summer I spent 10 days in Chicago doing printmaking with Audrey Niffenegger and even in that short time, it was so refreshing and inspiring, doing something slightly outside of my field. SM: People in the book industry need to realize that they’re missing a trick in business when they don’t credit illustrators properly. It costs publishers very little to credit illustrators and by doing so, they gain illustrator loyalty, better metadata searchability, and a larger fan base of people who love pictures as well as text. PP: Your #PicturesMeanBusiness campaign has proved enormously successful in getting deserved recognition for the part illustrators play in books’ success. What still needs to be done? 1. Better bibliographic metadata: Imagine, your illustrators win big awards but when their fans search for their books online, those books don’t show up and you lose those sales. Be vigilant: train the people who enter your book data to include illustrators (and translators) even if it means an extra click or two for a drop-down menu. 2. Illustrator sales data: Notice all those lists of bestselling writers? Why aren’t there lists of bestselling illustrators? 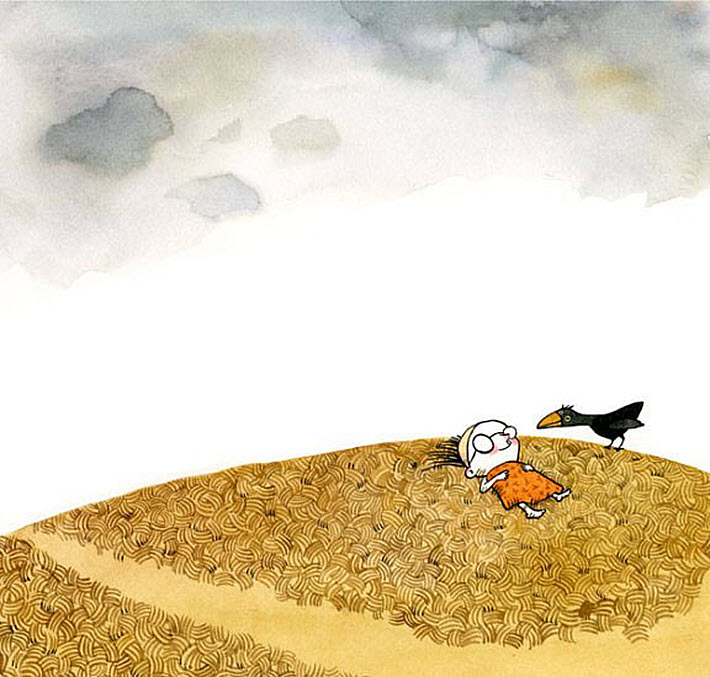 Wouldn’t you want to know which illustrators are shifting the most books? Which illustrators are being checked out the most often at libraries? Nielsen can provide bibliographic illustrator data, but they have to do manual searches for illustrator sales data because not enough people are asking for it to make it financially worth their while yet to include that extra field. Some children’s book sections stock exclusively Julia Donaldson books because she’s a guaranteed bestseller, but who’s to say that it’s not Axel Scheffler’s illustrations that are selling her picture books? Why not stock Axel’s books that he hasn’t done with Julia? Because there’s no overall sales data for him so, in economic terms, his work has no value. Illustrators are an increasingly powerful part of what makes books sell, it’s in business’ interest to be able to measure this. 3. llustrators’ names prominently placed on front book covers and in social media mentions: Just like everyone else in business, illustrators need to build their brand, which is almost always their name. 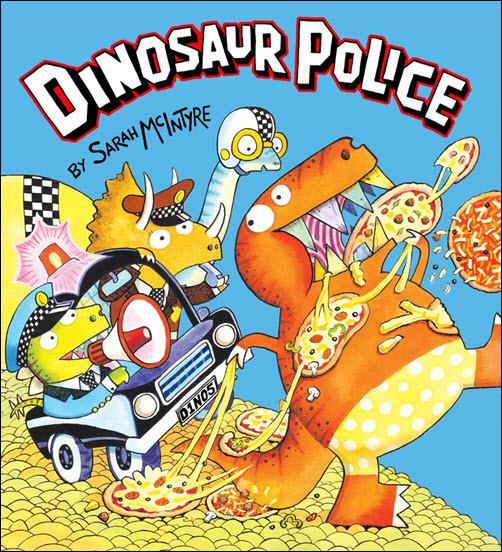 If your book is highly illustrated throughout and you refuse to put the illustrator’s name on the front cover, your illustrator will feel angry and resentful. If they get the option of working with another publisher who will allow them to build their brand, you may find yourself without your illustrator, or they may put more effort into projects for other clients. Agents, get it into the contract that your illustrator will have his or her name on the front cover. Publicists and writers, when you do the big “reveal” of your cover artwork, credit the artist who created that artwork, don’t pretend you did it or it just magically happened. Your thoughtlessness may seem trivial to you, but it will play a big part in your illustrator’s sense of loyalty to you. You want them on your side to promote the book, and in the age of the Internet, with its clicks driven by images, your illustrator’s goodwill and enthusiasm are one of the most powerful weapons in your arsenal. ‘In the Field’ by Sarah McIntyre. More illustrations are here.